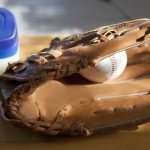 Finding the best catcher bag is not as easy most people presume. This is because there are several aspects worth considering. For starters, You need to consider the storage capacity, ease of mobility of the bag, durability, reliability, and extras available such as lockable zippers, removable embroidery, and special pockets for personal items. The Easton E610W is an all-new wheeled equipment bag that is specially designed to carry a wide range of equipment including a catcher’s gear. The bottom surface comes with rails and bracketed in-line wheels that provide transportation efficiency, durability and strength. This ensures that the bag is easy to wheel across the pitch and on different types of surfaces and terrains. The bag is professionally sewed using high quality material that is easy to wash, does not get dirty easily and is resistant to tearing. 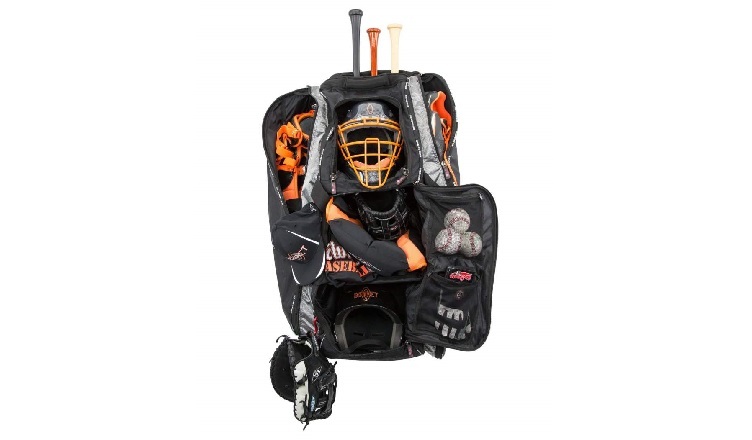 This great bag comes with a roomy and exceptionally large compartment for carrying a catcher’s gear and other sporting items including a batting helmet, first aid kit, shoes and gloves among other items. Even with all these items, the bag still has spare space thus making it a great choice for professional players with a lot of sporting equipment. When neatly organized and arranged, the bag is usually not bulky and hence easy to wheel across the pitch. The bag also has small compartments on the side that can be used for storing other items such as phones, car keys, and a water bottle among other necessities. When using this Easton E610W bag, you need not to worry about the safety and security of your possessions as the bag comes with lockable zippers. These zippers also enhance the bag’s durability while at the same time preventing blowouts. The sports utility functionality employed in the design of the bag provides a unique bat compartment that holds a maximum of four bats. Additionally, the bag features a detachable shoe pocket that is perfect for team embroidery. Not resistant to wetting hence should be used on dry surfaces. DeMarini is a leading brand for baseball equipment and accessories. The Momentum Wheeled Bag by DeMarini, this all-new bag comes with a unique bat compartment that holds a maximum of four bats. The bag also features other compartments for the helmet, gloves and more equipment. The big rugged wheels in the bag allow for easy mobility and movement when dragging the bag across the pitch and on different types of surfaces. The best about this wheeled bag by DeMarini is that it comes with large compartments that make it easy to keep all your baseball equipment and gear. The large compartments come in handy for people with a great deal of equipment and gear. This is because with this bag, plays can neatly organize their gear in the bag. The separate bat compartment allows for easy carrying of the bag especially if you are traveling with the bag. The great style of this DeMarini bag provides separate internal compartments for personal items like car keys and phones. This goes a long way in enabling you to be organizational especially if you carry along several items when going to the pitch. Additionally, the bag comes with lockable zippers that guarantee the safety of the items in the bag. The interior shelf in the bag separates gloves and cleats from other sporting gear. An upgrade of previous models of baseball bags, this modern Walk-Off IV bag by Easton is designed to meet the needs of all baseball players. The highlight of this bag is that it features a classic external helmet holder that helps in creating additional space in the bag. 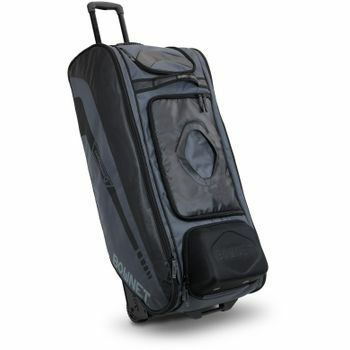 Unlike other common catchers’ bag, This Easton bag does not feature wheels, as it is a strap-on bag. As such, it is easy to carry around on your back when going to the pitch. This Easton bag features a maximum storage capacity concept that makes it possible to put gloves, helmet, cap, batting gloves, and other equipment. Since the bag has an external helmet hold, there is more space provided inside the bag for storing personal items. Additionally, the two pockets on each side of the bag provide roomy compartments for water bottles and bats. Ideally, the design of the bag allows for the comfortable and convenient carrying of all your baseball equipment. The 4200 Polyester Ripstop material, the backpack exhibits unique resistance to all weather effects and other damaging effects like dirt and mud. This resistance ensures that your sporting items and equipment remain game-ready at all times regardless of prevailing weather conditions. Since the fabric in the bag is strong and durable, it withstands wear and tear due to regular use and maximum capacity loading on a daily basis. In addition to the large main compartment, this DeMarini backpack also features other compartments for holding personal items like phones, bats, and shoes. The most fascinating aspect about this bag is that the cell phone pocket is fleece lined to protect the phone from any impact. The molded barrel neoprene bat sleeves can hold two bats thus making it easy to carry all your sporting items when going to the pitch. The base of the bag is made using a composite treated waterproof material that protects the contents of the bag from damage in case the bag is put on a wet surface. Since the shoulder straps are padded, it becomes comfortable to carry the bag on your back even for long durations. The shoe compartment is vented and hence there are no odors that accumulate in the bag. This is a great choice for players of all levels including amateurs and professional baseball players. For players looking for a classy catcher’s backpack that can hold up to 4 bats, the Mizuno Organizer OG5 bag is the ultimate backpack to purchase. One of the unique specs about the backpack is that it has a spacious interior that provides convenient laptop storage for 17” laptop computer. The bag has plenty of room for all catcher’s gear and even offers an extra mesh pocket can be used as a bottle pouch. The shoulder straps in this Mizuno backpack are padded and can be adjusted to the user’s preference. This makes it possible to use the backpack even for youthful players as well as adults. Additionally, when carrying the backpack, you can be guaranteed to be comfortable as the weight in the backpack is evenly distributed thereby ensuring that it does not strain the muscles. With this backpack, you can personalize and customize your team’s logo in the large embroidery area. The shoe compartment in the bag will hold your cleats and at the same time ensure that there is no odor as the bag is perforated to allow smooth airflow into and from the bag. Mizuno is popular for making durable and reliable bags, and true to this, the OG5 bag exhibits great resistance to wear and tear. The Easton Prowess boasts for being the first backpack that is specifically designed for use by a female athlete. Holding up to two softball/baseball bats, the bag is a worthy purchase for players looking forward to carrying all their gear for practice and competitions. The padded shoulder straps and back are specifically engineered to meet the needs and standards of the female body. 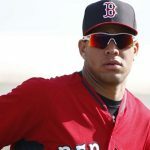 Despite the bag being a predominantly female’s bag, male players can also use it to carry their catcher’s gear and other baseball items. For purposes of addressing the female’s beauty needs, this Easton backpack comes with a personal mirror that is protected by a top flap. The mirror is designed to help players apply face products after a game of softball. The bag also comes with a headband, visor and bow adjustments. As such, it ensures that it provides players with the best hair and eye protection when out in the pitch especially on a sunny day. The best thing about this Easton Prowess is that it features durable construction that makes the bag resistant to water and moisture. As such, the bag is not affected by wetness or moist conditions. The two bat sleeves on the side of the bag fit 2-1/4” bats. In addition to this, the bag also features an external helmet holder that creates more interior space in the bag for holding personal items, gloves and cleats. Priding itself in having 14 different pockets, this bag makes it easy to organize and keep your gear neatly arranged for quick access. The bag comes with a removable personalization panel that you can use for your name, team name and number. The bag fits up to three big barrel (full-size) bats in the bat panel on the side of the bag. In addition to this, the bag also features a molded hard case for keeping your cleats and helmet. Unlike other bags that you need to carry on your back all the time, this bag comes with trax wheels that are reinforced with rubber treads for easy mobility when wheeling the bag over gravel, road or grass. The lockable zippers in the bag are made from good quality material and are hence not easy to break or damage. The base of the bat exhibits great water resistance capabilities thereby making it possible to place the bag on wet surfaces such as on grass without damaging the bag. The best thing about this bag is that it comes with many pockets all totaling to 14. These multiple compartments provide the best storage for all types of playing gear. Additionally, these pockets make it easy to carry personal items like cell phones, car keys and other items when going to the pitch. Since there is no space limitation in the bag, you can carry anything you want without crowding or packing the bag excessively. For players looking for a bag that they can use for other non-sporting uses in addition to carrying their playing gear, The Rawlings Covert Player bag is the ultimate bag to purchase. Featuring A ventilated shoe compartment, the bag holds 2 bats and is perfect for athletes. The best thing about this bag is that it is not age specific and as such, players and athletes of any age can use the bag comfortably. With this bag, you can store your gear in a neatly organized and well-planned manner. The Rawlings Convert bag features a universal design and shape that makes it a great choice for multi-purpose use. 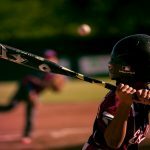 You can use the bat for other sports including athletics, football, softball and volleyball. This is because the main compartment is spacious and can thus hold gear of different sizes, shapes and dimensions. The bag does not come with shoulder straps but the straps on the sides of the bag are long and hence can be put over the shoulders. For players who intend to use the bag on wet and moist surfaces such as grass, there is no reason to worry as the bag comes with a durable vinyl bottom. This base provides ultimate moisture protection thereby ensuring that your gear is not affected by moisture. In the bag’s interior space, there is a mesh zippered pocket that measures the full width and height of the bag. The pocket is perfect for placing valuables such as phones, car keys and other personal items. Does not come with wheels hence can only be carried in the hands at all times. 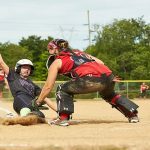 When shopping for the best catcher’s bag to purchase, it is crucial that you only settle on a bag that meets your needs and demands. This is so that you only settle on a bag that is of reliable use to you as far as your playing needs are concerned. Settle for bags with multiple pockets as they provide with additional storage space.